Used Citroën C3 Picasso Review - 2009-2017 | What Car? What's the used Citroën C3 Picasso MPV like? Despite its relatively diminutive size – it’s only a smidgen over four metres long – the Citroen C3 Picasso is proof that you can almost squeeze a quart into a pint pot, because inside it’s remarkably roomy. Combine this with distinctive styling and easy-going road manners and you get a real winner that has proven very popular with owners. 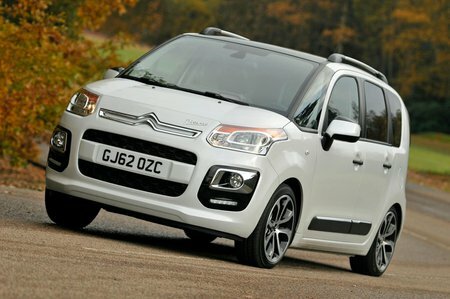 True, the C3 Picasso is not the most exciting car in its class through the corners, but it counters this by being easy to drive, with a comfortable ride and very good visibility. The engine line up starts with a 1.4-litre petrol, but its performance isn’t great. Instead we advise looking at the 1.6 petrol or one of the diesels, all of which have enough pulling power for when the car is fully loaded. The diesels can also exceed 50mpg. It’s also worth noting that the automatic gearbox is actually a rather jerky automated manual that is an acquired taste, so be sure to try before you buy. Clever use of interior space makes the C3 Picasso one of the most versatile machines in its class. For example, in its standard configuration the boot is a similar size to a Volkswagen Golf’s, despite the C3 Picasso being a smaller car on the outside. In addition, you can slide the rear seats backwards if you don't need so much room in the boot, in order to increase leg room for rear passengers. A facelift in 2013 resulted in improved interior fixtures and fittings along with updated looks and a revised diesel that offered improved economy and emissions.